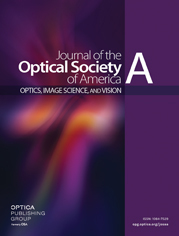 We present a simple solution to the Fresnel–Kirchoff diffraction integral that is appropriate for x-ray radiography of strongly absorbing and phase-shifting objects in the geometrical optics regime, where phase contrast enhancements can be considered to be caused by refraction by a semi-opaque object. We demonstrate its accuracy by comparison to brute-force numerical ray trace and diffraction calculations of a representative simulated object, and show excellent agreement for spatial scales corresponding to Fresnel numbers greater than unity. The result represents a significant improvement over approximate formulas typically used in analysis of refraction-enhanced radiographs, particularly for radiography of transient phenomena in objects that strongly refract and show significant absorption.